A virtual private network is your first line of defense against online threats and other related vulnerabilities. A VPN protects your online identity and also provides impeccable security by encrypting your internet traffic and assigning you a new IP address. You also get accrued benefits such as gaining access to geo-restricted content and bypassing censorships. Server locations – Circumventing censorships and gaining access to geo-blocked content is a hard task in free VPN services. This is because you will have access to a limited number of servers. Security and privacy – Unlike premium VPNs, free VPNs lack security enhancing features and proper implementation of privacy. Most of them collect your data which they then sell to other third parties to fund the service. Ads – Free VPN services are notorious for pushing and bombarding you with intrusive ads. At most times, you will end up frustrated and annoyed. We highly recommend a paid VPN over a Free VPN – Check here the recommended paid options. Continue reading for Best Free VPN for Android. This VPN service for Android provides the required security that ensures your privacy is intact when you are surfing the internet. Windscribe VPN has a good interface, and you don’t have to worry about settings and menus. The best thing about Windscribe VPN is that with the free plan, you can get up to a whopping 10GB free bandwidth per month and there’s a strictly no log policy. The free plan has limited downloads, and you only get to connect to servers in 11 countries (including US, UK, Canada, Hong Kong, Netherlands, and Germany). Other than the data cap, TunnelBear advocates for transparency, and it’s the only VPN that has been audited by a third party. It has a global network of servers in 22 plus countries, and it uses grizzly grade security. Unlike other free VPN services, Proton’s free subscription doesn’t have data caps. Proton VPN also claims that it doesn’t sell your data and it doesn’t push privacy invading ads. Their paid plans support the free service. Based in Swiss, Proton VPN doesn’t log any user activity nor share it with other third parties. Proton VPN takes your privacy seriously since it’s a privacy advocate. The free plan gives you access to servers in 3 countries, a single device connection and first-time users get a 7-day trial period with full access to premium features. Based in the British Virgin Islands, Express VPN is the number one trusted leader in VPN service. Its 2000+ global servers span over 94 countries in 148 server locations. The servers offer blazing speeds with unlimited bandwidth, and there’s no throttling. To protect your identity, it uses the 256-bit AES encryption, offshore privacy protection and it does not log your online activity. It works with torrents, suitable for streaming, unblocking geo-restricted content and its users get 3 simultaneous connections. If by any chance you are not satisfied by the service, Express VPN has 30-day money-back guarantee. With the largest global network of 5100+ servers in 62 countries, this Panama based VPN delivers the internet without borders to your device. Its military grade 256-bit AES encryption and other security features provide advanced security with complete privacy. Its servers are optimised to ensure lightning speeds in whatever task you undertake online. NordVPN has a strict zero log policy, unlimited bandwidth, allows P2P traffic and a simultaneous connection of up to 6 devices. NordVPN also boasts a 30-day money-back guarantee. IPVanish ensures your privacy and security are not compromised when you are surfing the internet. It has a strict zero logging policy, and security is provided via 256-bit AES encryption. It has 1000+ server in over 60 countries which offer unlimited bandwidth and server switching. The servers are also optimised to provide a faster VPN experience. Users get anonymous torrenting, access to restricted content and also 10 simultaneous connections. IPVanish offers a 7-day money back guarantee. 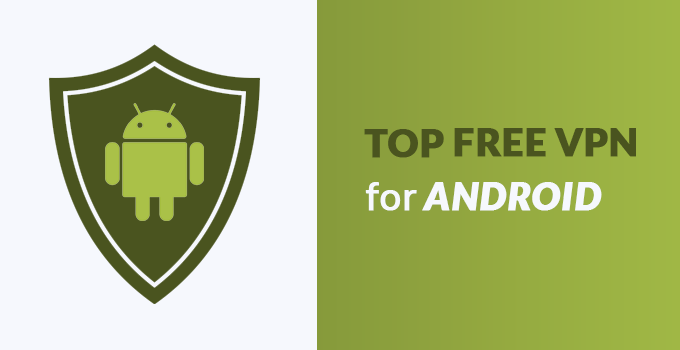 There are many choices for a free VPN for Android smartphones. However, premium VPNs are always better at protecting your online identity, security and privacy. Unlike in free VPNs, you won’t experience restrictions, performance issues and better yet, your activities are not logged.